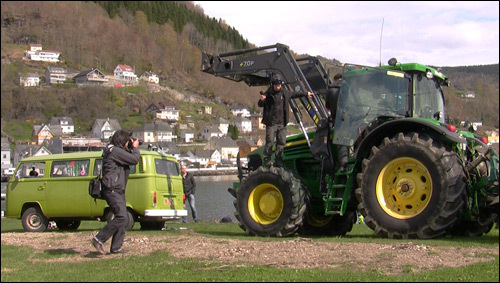 For the Bygdalarm festival I composed and produced a performance where all sounds came from, and was performed by a rusty old Volkswagen Transporter and a hyper modern John Deer tractor. I built a complex orchestra of instruments, where every sound originated from the vehicles, and then performed this together with them. There is an extensive daily making-of report in the blog, and a final report with music example.